Automate your admin and reclaim your evenings - Connectably! 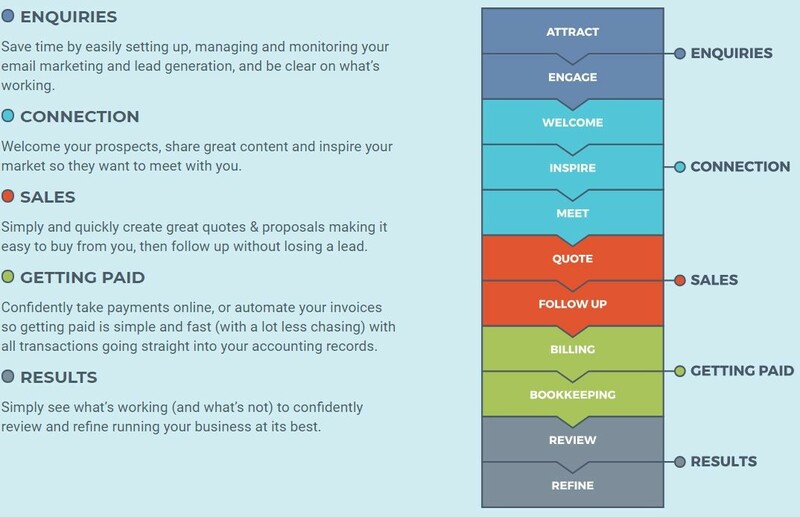 Whether you’re a start-up or an established business, admin can be a significant drain on time. At Blu Sky we see clients splash out on various software trying to simply their processes’ which unfortunately can confuse things even more. Connectably is a simple ‘all in one’ CRM that brings together the tasks, actions and admin that service businesses need to do to make money. Founders Lucy & Gareth have identified 11 connections that help a business work better. The software has a function for each other these steps meaning there are no gaps, fewer mistakes and fewer lost leads. Connectably has taken quality existing apps such as Xero, GoCardless & Stripe and linked them to marketing, sales and customer service features. All of your business tasks can be taken care of from once place allowing you to answer questions faster and understand your customers better. Most of the features have been designed for a professional trade or services business. If your sales typically start with a meeting over coffee, followed by a proposal and invoice then you’ll benefit from having one database. More than anything, Connectably has been designed to save time for anyone who finds themselves doing ‘evening admin’… or worse, weekend admin. Unlimited! Many business owners struggle to delegate when they have several employees, all keeping their own records and secret spreadsheets. With everyone working from one place you’ll understand where your business is at, at any time.